First Look on Disney's Live-action Lọ lem. Ella (Lily James) is a the main character of the upcoming Disney live-action fairy tale. In theaters on March 13, 2015. 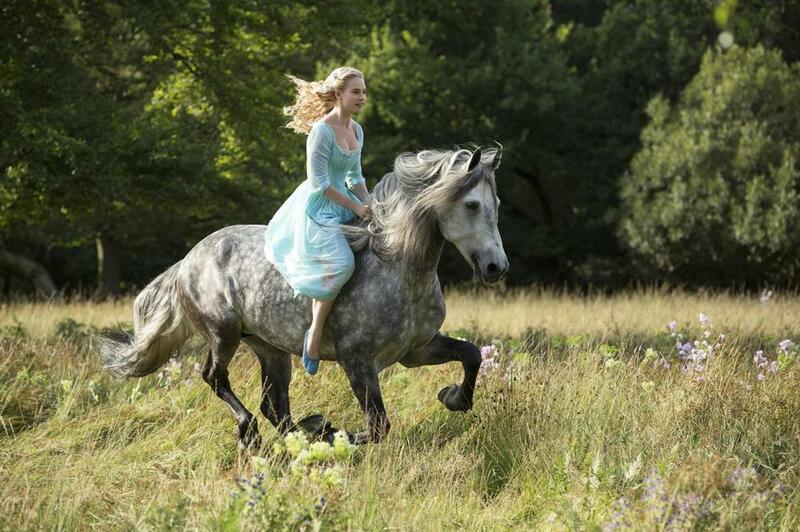 HD Wallpaper and background images in the Disney club tagged: disney cinderella 2015 lily james live action upcoming. This Disney photo contains lippizan, lipizzan, lippizaner, đường mòn ngựa, and đường mòn horse. There might also be wrangler ngựa, wrangler, ngựa, ngựa wrangler, yên ngựa, cưỡi ngựa, gắn kết, ngựa yên ngựa, núi, ngựa đua, đua ngựa, bangtail, and ngựa.